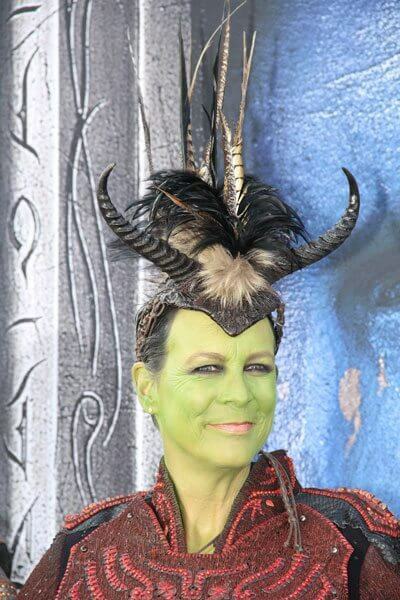 Jamie Lee Curtis isn’t in Universal Pictures’ Warcraft directed by Duncan Jones and starring Travis Fimmel, Paula Patton, Ben Foster, Dominic Cooper, Toby Kebbell, and Ben Schnetzer. 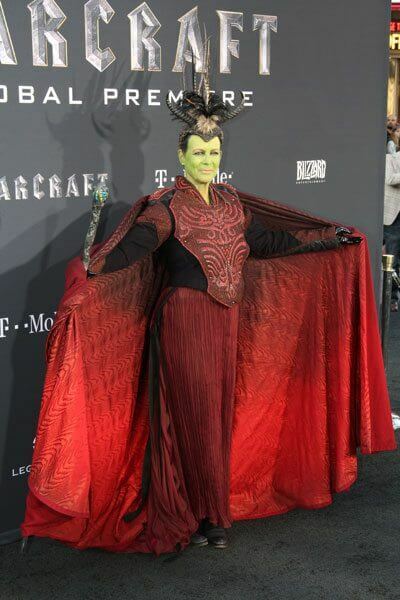 Curtis, however, pretty much stole the show at the film’s Hollywood premiere, dressing up in full cosplay as an Orc shaman while her son, Tom, donned an Orc warrior costume. 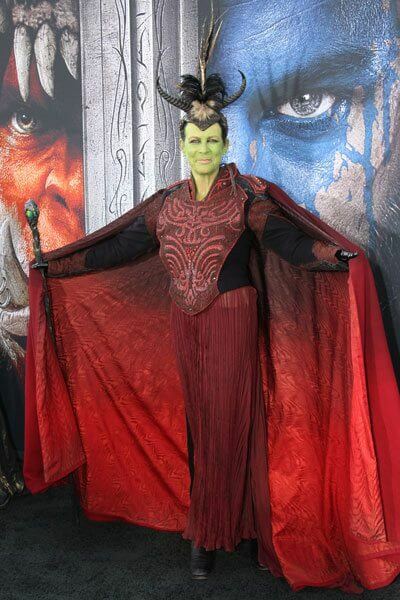 Wearing green face paint and elaborate costumes, Jamie Lee Curtis and Tom Guest looked right at home posing in front of oversized posters from the action-adventure film based on the popular Blizzard Entertainment video games. At the premiere, Jamie Lee Curtis told the Universal Pictures crew that her son Tom had been a fan for a long, long time. “Therefore, what my son loves I’ve learned to love,” explained Curtis. That explanation was immediately followed by Jamie Lee and her son Tom saying, “Leeroy Jenkins,” in unison. 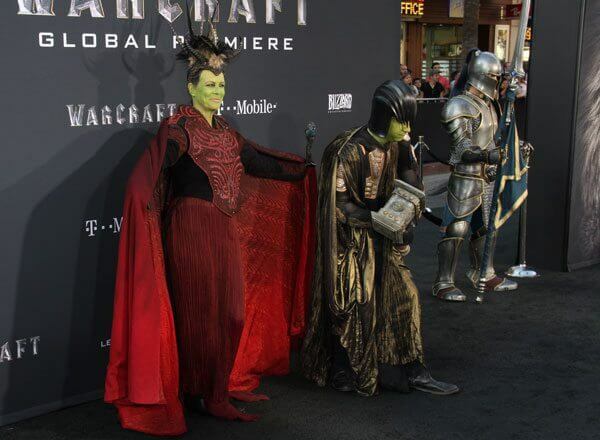 The Warcraft Plot: The peaceful realm of Azeroth stands on the brink of war as its civilization faces a fearsome race of invaders: Orc warriors fleeing their dying home to colonize another. As a portal opens to connect the two worlds, one army faces destruction and the other faces extinction. From opposing sides, two heroes are set on a collision course that will decide the fate of their family, their people and their home. So begins a spectacular saga of power and sacrifice in which war has many faces, and everyone fights for something. Check out our photos snapped by Showbiz Junkies cameraman Richard Chavez on the film’s black carpet.